What is Emergency Medicine (EM)? Emergency Medicine is one of the 3 ‘Critical Care‘ Specialties along with Intensive Care and Anaesthetics. EM started late in the day as a medical speciality. It has evolved rapidly as a specialty over the last 30-40 years from small and humble beginnings (a few pioneers in the United States) to one of the largest and most popular specialties. Specifically, in North America it is one of the most sought after training programs. In many other countries it is becoming increasingly popular. Emergency Medicine is a widely recognised specialty and rapidly growing in a number of new countries because of a increasing worldwide recognition of the importance of timely Emergency Care at the front door of the hospital. 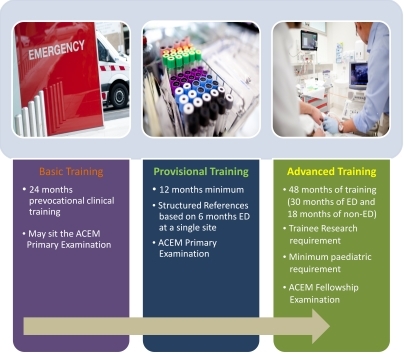 Why do an Emergency Medicine Training Program? A resuscitation of an arresting 50-year-old, reassurance of worried parents of a newborn after a thorough assessment, supervision of the reduction of a dislocated shoulder, recognise and treat malaria in a returned traveller and leadership of a trauma team. After a busy day you can return home on time with no extended periods of on call. What are the Cons of Training in Emergency Medicine? 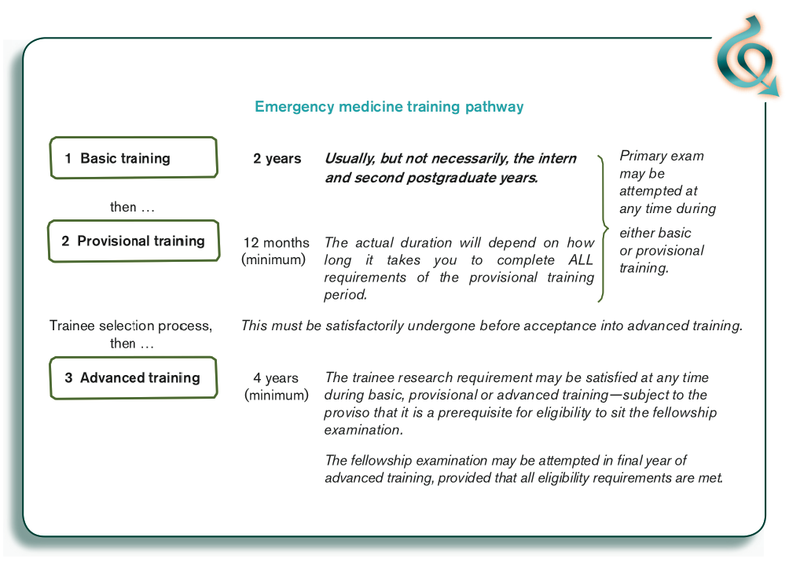 How long is the training program in Emergency Medicine? This depends on the country you plan to train in. In Australia as well as in the UK consultants generally avoid the perils of night shifts as their career progresses (after they complete training) but often wait 7-8 years to do the same. Canada has a 5-6 year training program with various options to combine training which are fairly flexible. What is the assessment process in Australia and New Zealand? What is the assessment process in other countries? Are qualifications in Emergency Medicine recognised internationally? Broadly, yes, but with notable exemptions and caveats. While there is a significant degree of reciprocal recognition local and international governance sometimes limits options in this regard. The take home message is that Emergency Medicine is an increasingly attractive and exciting specialty that is is growing and changing quickly. It is an all encompassing specialty with a degree of flexibility to suit the choice of career interests as well as the balanced lifestyle that you seek as a doctor in training. Thank your for your nice posting.there is a significant degree of reciprocal recognition local and international governance sometimes limits options in this regard.